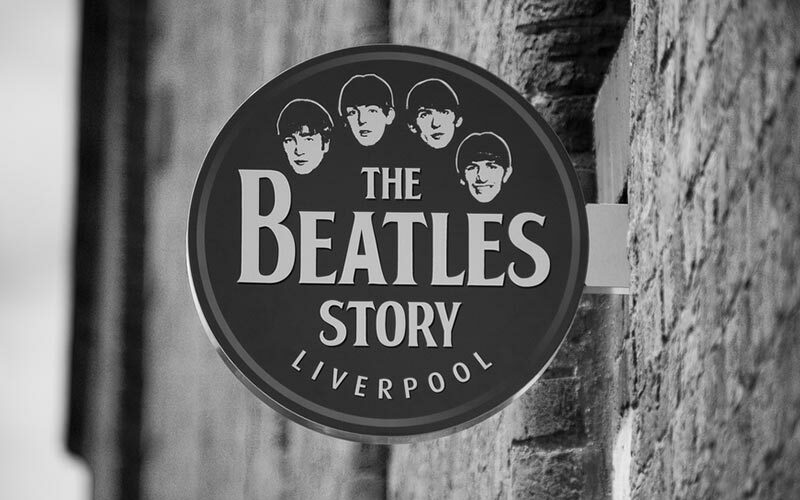 Experts in Beatles Tours, other things to do in Liverpool and throughout the UK. The best introduction to Liverpool & the Beatles in the footsteps of the Fab4. Our Tour Guides are experts in Beatles tours and other tours in Liverpool. Book our tour via online ticketing. Or contact us with bespoke tour requests. A range of Beatles tours visiting Penny Lane, Strawberry Fields & other beatles favourites. Combine a Beatles Tour with A Mersey Ferry or a Tower tour when you visit Liverpool. The guided Beatles walk and entrance to the Beatles Story. Liverpool Beatles Walk are finalists in the 2017 Liverpool Tourism Awards and they have a range of ideas and tours which are suitable for sole travellers, Beatles fans and groups and there is no better way to explore the city and to learn how and why it has changed and to perhaps consider whether the legacy left by the Fab4 was the final ingredient to help them win their bid for European Capital of Culture. New for 2018 is a visit to the “Double Fantasy Exhibition" opened by Yoko Ono herself. The Beatles played their last Beatles music in Liverpool in 1965 yet their legacy remains and Beatles sightseeing tours and visits to their childhood homes, schools and colleges and iconic places like Penny Lane & Strawberry fields are some of the most popular things to do in Liverpool. A Beatles tour sets the route yet there is so much more to see than just the Beatles and these experiences have something for everyone. 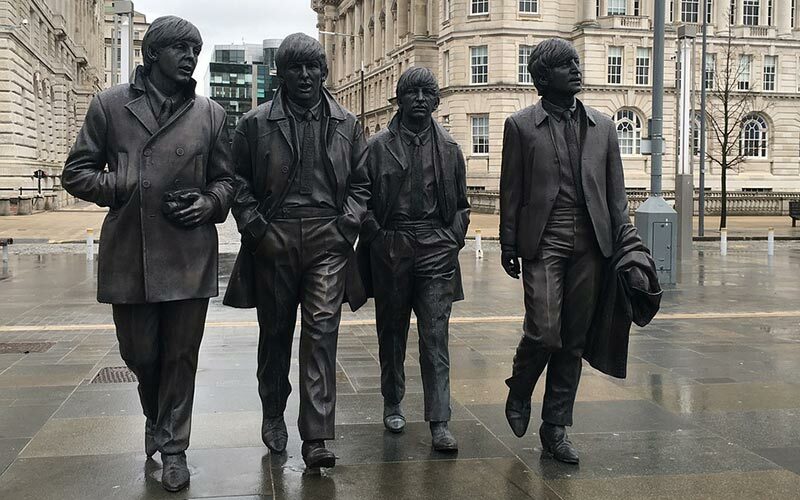 You can choose from an easy short 90-minute walking tour within the city centre or take the Ticket to Ride Tour or choose one of the combination tours or their flagship Beatles Musical History Tour which includes entrance to the new British Music Experience. Whichever tour you choose not only will you learn all about the Beatles time in Liverpool, but you will see lots of architecture, the Town Hall, you can see and touch the statues and if you choose the Radio City Tower tour you will see from 135 metres above the city how the £1billion award winning development called Liverpool One has reconnected the city centre to the Docks and understand why Liverpool is now the most vibrant UK city outside of London. You might not be visiting Liverpool on one of the Cruise Ships but you can arrive in Liverpool in style by choosing the Beatles Walk and Mersey Ferry combo which creates a full day experience and you will see breath-taking views from the famous Ferry Cross the Mersey immortalised by the song by Gerry & the Pacemakers. Although the public tours are in English, you can also book a private tour in a choice of 6 foreign languages. How long are the Beatles Walking and Combo Tours? The Beatles Walking Tour is 90 minutes within the Liverpool City Centre. Ticket to Ride walk is a 4-5 hours. The “One Big Brilliant Day Out Tour” is a full day experience. The combo tours all vary in duration, however, all start with the 90-minute Guided walk and then you have time to buy lunch or souvenirs on Mathew Street before using your vouchers to visit the other attractions for example the Beatles Story Museum or Radio City Tower Tour. What are the costs & how do I book? 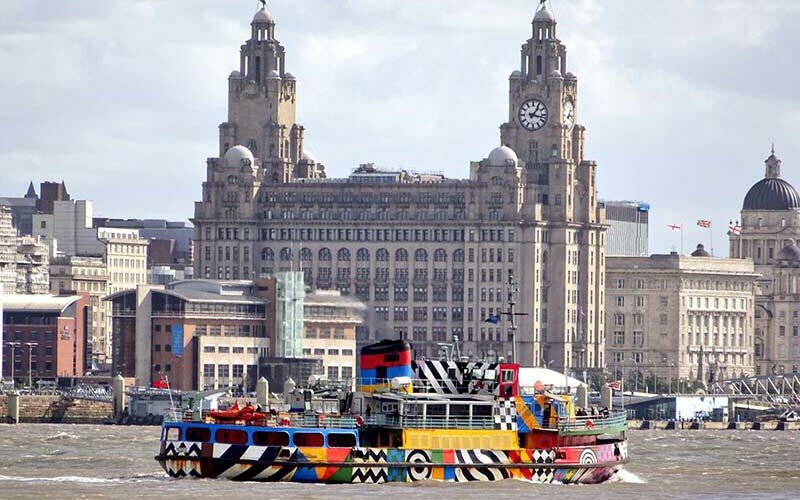 Beatles Walking Tour & Mersey Ferry Full day: £27.50 per person, £50 for 2 people. Why choose a walking tour? Our walking and combo tours have something for everyone and use the Beatles theme to show how and why the city has changed in a fun way. You'll be shown hidden places you cannot see on a bus or coach and have more freedom and time to look around and enjoy the experience. You will learn Magical History of The Beatles by seeing the clubs they played and places where they stayed and even touch the statues and sculptures, as we walk along the streets many of which are unchanged since the early 1960's. There are opportunities on a walk to ask questions and the tour is a more personal experience. Check out all the reviews and great photos of our previous tours on the Facebook link at the top of the page.